Is it March 29th yet? The more I see of this film, the more excited I get! G.I. Joe Retaliation – Preview of new trailer debuting this weekend. So, is it March 29, 2012 yet? G.I. Joe Retaliation Trailer #3 debuts! Feast your eyes on the latest trailer for G.I. Joe Retaliation– hitting theatres on March 29, 2012! Honestly, this is the strongest trailer yet– at least in my eyes. A few new shots of Snake Eyes and Jinx preparing for their mountain assault, a longer shot of the HISS tank, more Bruce Willis, and a “buddy cop” moment between Roadblock and Duke– something that was lacking in the previous previews. Plus, it looks like Zartan throws the gauntlet down to several world leaders– and gets a dig in at North Korea in the process. It’s a win-win! I’ll leave the bulk of the commentary up to the internet but this trailer has me more excited about things that I was previously. G.I. Joe: Retaliation trailer #2 is now online! It went up late last night courtesy of Machinima. Feast your eyes on the awesomeness that contains HISS tanks, Cobra as “special forces units”, and more of Firefly, Cobra Commander, and Storm Shadow. Oh yeah, and apparently Roadblock has kids?!! It’s a solid solid trailer! In all seriousness, this trailer looks to be miles ahead of anything that was released for Rise of Cobra in anticipation of that film’s release. Solid character portrays, minimal Channing Tatum exposure (who STILL manages to be the weakest part of the trailer), and some awesome looking action. June 29 better get here soon! 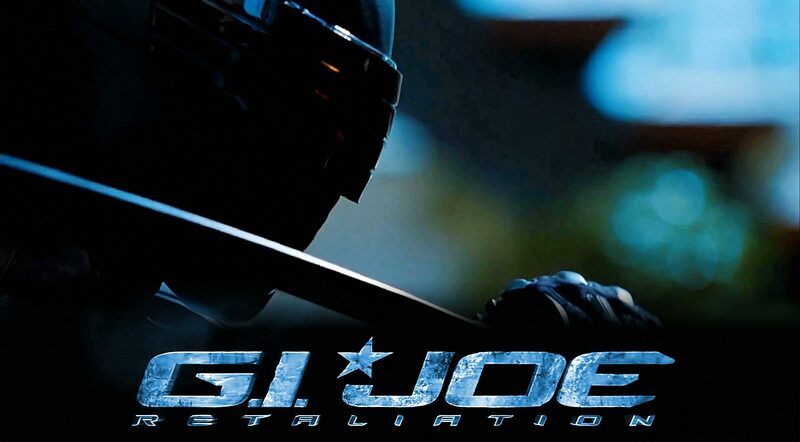 GIJoe: Retaliation Super Bowl spot is now online! Yes, it’s only 30 seconds– but it’s 30 seconds of AWESOME! While it offers very little in terms of story details, it certainly works to increase audience anticipation. In other words, it’s a solid film commercial! G.I. Joe Retaliation Super Bowl trailer to debut on iTunes TODAY!! G.I. Joe: The Rise of Cobra was a mixed bag for most fans. It was one of those films that had some familiar elements but still seemed to miss the mark in terms of overall feel and story. The sequel G.I. Joe: Retaliation seems to be having the opposite effect as fans and pundits alike can’t seem to stop talking about it in a VERY positive light– and the film hasn’t even hit yet! That’s right, Joe fan– the super bowl trailer will drop on iTunes some time TODAY!!! Like most Joe fans, those of us at JBL HQ are going to be keeping our eyes peeled for new footage from what is turning out to be one of the summer’s most anticipated films!